Migraines are neurological in origin. Although they are not really a headache, headaches are one of their main symptoms. However, migraines can occur without the presence of a headache. What other symptoms do they have? Some symptoms may linger once a migraine is over. You may still experience a dull headache, moodiness, and extreme elation or exhaustion. It is different for everyone, and each migraine can be different for you personally. Who Is at Risk and How Long Do Migraines Last? Women are three times more likely to get migraines than men. However, anyone at any age can develop migraines. People with a family history of migraines are more prone to getting them. They generally affect those in the age range of 15 to 55. In the USA, 39 million men, women, and children have migraines, and worldwide 1 billion have migraines. Most migraines last for around four hours. If they do not respond well to care, they can last for up to 72 hours or even as long as a week. Inflammation is part of your body’s natural defense mechanism to protect it from such things as infection, disease, and injury. It works to contain, destroy, or dilute the agent that is perceived as a threat. Inflammation causes swelling, redness, and heat to exist while it does its job. Therefore, pain and inflammation are often linked together, but this rarely includes migraines as they are not associated with the other symptoms of inflammation mentioned above. It has always been believed that the pain of migraines comes from abnormal dilatation of the blood vessels in the brain. This has never been proven, however. In recent years, more and more research seems to be focusing on the fact that inflammation may indeed play a major role in the onset of migraine headaches. 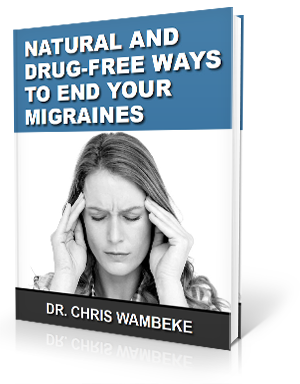 There is evidence that shows taking anti-inflammatory medication or eating an anti-inflammatory diet can actually reduce the number of migraines you experience. In fact, a new medication is being developed that combines the migraine drug, Imitrex, with the anti-inflammatory drug, naproxen sodium (such as Aleve). The triptan (Imitrex) keeps blood vessels from dilating while the anti-inflammatory drug (Aleve) prevents the release of inflammation-triggering enzymes. Another drug being tested is supposed to work by inhibiting a protein released during inflammation, called calcitonin gene-related peptide (CGRP). This protein has been seen to be higher than normal in migraine patients. Researchers are hoping to develop a drug without the side effects that come along with anti-seizure or blood-pressure-lowering medications. These drugs are often unavailable to those with heart disease. However, it can take many years for anything to be developed and approved. Female hormones play a large role in migraines and may be why more women than men get them. It is likely that the drop in estrogen levels that happens a few days before the normal menstruation cycle begins leads to an increase in the chance of developing a migraine. Some women find great relief from migraines when menopause begins while others begin to get migraines at this time in their life. Each person is different when it comes to finding out what triggers migraines. When your brain perceives your particular trigger, it begins setting you up for a migraine. You may get a migraine within two hours or as long as two days after the event. Blood vessels in your forehead begin to swell, causing nerve fibers to release a chemical that leads to pain and inflammation. As this happens, the blood vessels enlarge even more and make the pain much worse. This chain-reaction goes on for a few hours until it reaches a threshold called central sensitization. This causes the pain-nerve cells to be stuck in the on position and even the slightest movement can lead to pain, including the pulse of blood in your brain. This can even affect your intestinal system. You may feel nauseous, vomit, and get diarrhea. Your hands and feet get cold and you lose the color in your face. One reason that inflammation can get out of control and lead to migraines may have to do with improper signals being sent to the brain. This can occur if there is a misalignment of the bones of the upper cervical spine, such as the C1 or C2 vertebra. This type of misalignment puts undue stress on the brainstem and causes it to malfunction when sending signals. By using a gentle method based on scientific measurements and imaging to tailor the adjustment to each specific patient, this can be corrected. We are happy to report that our migraine patients see similar results to those in documented studies. These studies report positive results in only one or two adjustments with many patients seeing their migraines go away completely. To schedule a complimentary NUCCA consultation call 406-862-7891 or just click the button below.